Documentaries by CCTV Youth Media producers, info on college options, debates on Education policy, and more. Watch documentaries made by Cambridge high school students in CCTV's Fall 2016 Youth Media Program, Fri. Apr. 7 at 6pm, Sat. Apr. 8 at 12pm, and Sun. Apr. 9 at 12pm, and from CCTV's Summer 2016 Youth Media Program, Fri. at 6:20 and Sat. at 12:20pm. A showcase of work by Cambridge teens at the Community Arts Center this year, Sat. Apr. 8 at 2pm and Sun. Apr. 9 at 12:20pm. Understanding College Options, a conversation with college graduates from Cambridge discussing their college choices and experiences, Fri. Apr. 7 at 7:05pm, Sat. Apr. 8 at 6:45pm, and Sun. Apr. 9 at 1:55pm. Back to the Forest School, an interview with Cambridge parents who are taking part in a new trend towards the alternate philosophy of education called "Forest Schools." Fri. Apr. 7 at 7:40pm and Sat. Apr. 8 at 8pm. Buy The Book, Episode 75 of the No Jargon podcast: As charter school debates play out at the local level, out-of-state donors are contributing millions of dollars to school board campaigns in cities like Los Angeles and Denver. Professor Sarah Reckhow breaks down who donates and what that money does. Fri. Apr. 7 at 8:05pm and Sat. Apr. 8 at 8:30pm. And Voices Beyond Walls, youth-produced video shorts by children of refugee camps in the West Bank, East Jerusalem, and Jordan between 2006 and 2009 in the Voices Beyond Walls participatory media initiative, Fri. Apr. 7 at 8:35pm and Sat. Apr. 8 at 9:30pm. Healthcare policy experts visited CCTV to discuss the current political situation. 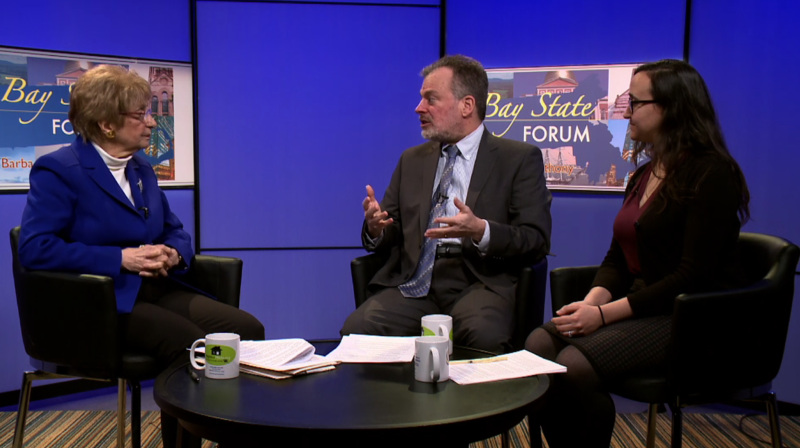 In the latest episode of Bay State Forum, host Barbara Anthony interviews two healthcare policy experts and consumer advocates who have worked at the forefront of healthcare reform in this state and country. Watch on Channel 8, Tue. Apr. 4, Thu. Apr. 6 and Sat. Apr. 8 at 5pm. Brian Rosman is the Policy and Government Relations Director for Health Care for All. Health Care for All is a Massachusetts consumer advocacy organization that works with our state government to pursue policies for affordable, quality healthcare for everyone. Meredith Munn Wheeler is the State Advocacy Manager with Community Catalyst’s Together for Medicaid Project. Community Catalyst is a national consumer health advocacy organization that works directly on federal policy and advocacy as well as partnering with healthcare advocacy organizations in 44 states. Cambridge producers this week visit Montrose Spa at 1646 Mass. 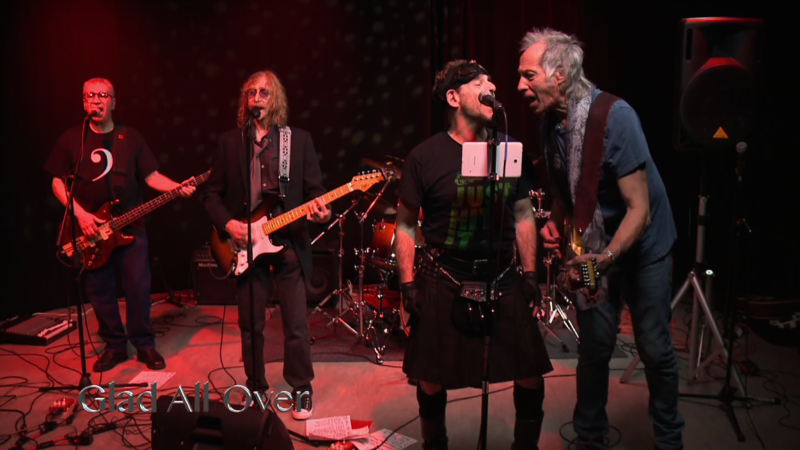 Ave. and bring local band D16 into the CCTV studio for a live recording. Meet Tommy Rodriguez, who has owned Montrose Spa since 1974. “Tommy,” as all his customers know him, is from Cuba. And, watch local rock band D16 performing Glad All Over, Velvet Women, Heat, and Radiant and Elegant. Watch the newest videos by local producers, each week on Channel 8, Tuesdays, Thursdays, and Sundays at 7pm and Wednesdays and Fridays at 11am.